Originally from North Carolina, the singer release his first mixtape back in 2007 which created a buzz and ended up on Mr Beyonce's desk resulting Mr J.Cole being the first artist to be signed to Jay-Z label Roc Nation. Featuring on Jay-Z's single A Star Is Born, the hotly anticipated artist is set to release his debut album Cole World: The Sideline Story through Sony music on Friday 30th September 2011. J.Cole has taken audiences by by the balls and earned himself rave reviews from press and tastemakers with his critically-acclaimed mixtape, Friday Night Lights and Any Given Sunday sessions where J.Cole releases content direct to his fans online every Sunday night. 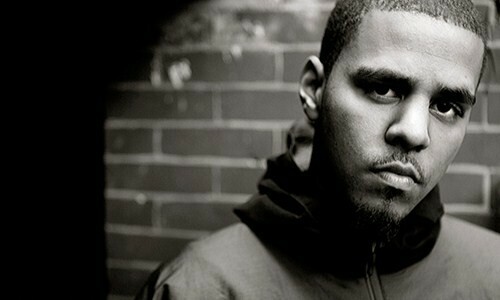 With the ability to write thought provoking songs packed with sharp wit and clever lines, Cole is able to connect with listeners in a way that is seldom seen among MCs today. Cole’s unique abilities have led him to successful tours with Drake and international superstar Rihanna on her recent LOUD Tour. Cole new self-produced album features the debut lead single, Work Out along with Mr Nice Watch featuring Jay-Z, In The Morning featuring Drake, Nobody’s Perfect featuring Missy Elliot and the next single to be released Can’t Get Enough featuring the multi-platinum star, Trey Songz. Check out Cole’s debut single & video Work Out which is available to purchase through iTunes now.